I’m a huge fan of natural products, especially the kind that goes on my skin. As a crafter I put my hands through a lot of work. Like, a lot. I am constantly handling yarn made from natural and synthetic fibres and after a while I can feel my skin starts to feel chapped. When I’m not knitting or crocheting, I’m cooking or baking and that means a lot of hand washing. Oh my god, how many times do I dry my hands on a rough kitchen towel? At the end of the day, especially in winter, I like to treat my poor, hard-working hands to some love. I’ve found lotion bars to be really effective. 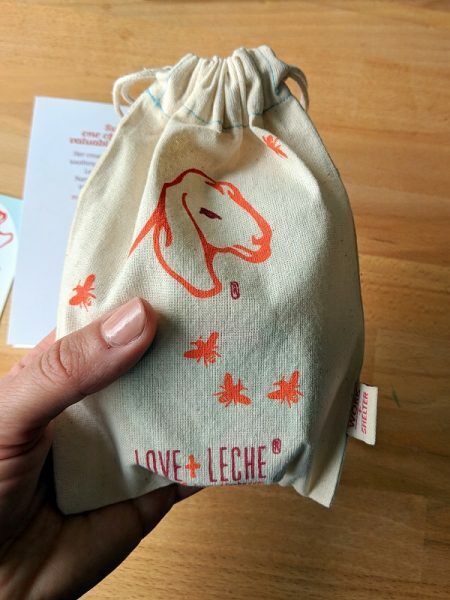 When the option to review Love+Leche‘s Little Bee Lotion Bars came up I practically jumped at the chance. Of course I want to coat my hands with luxurious lotion bars! 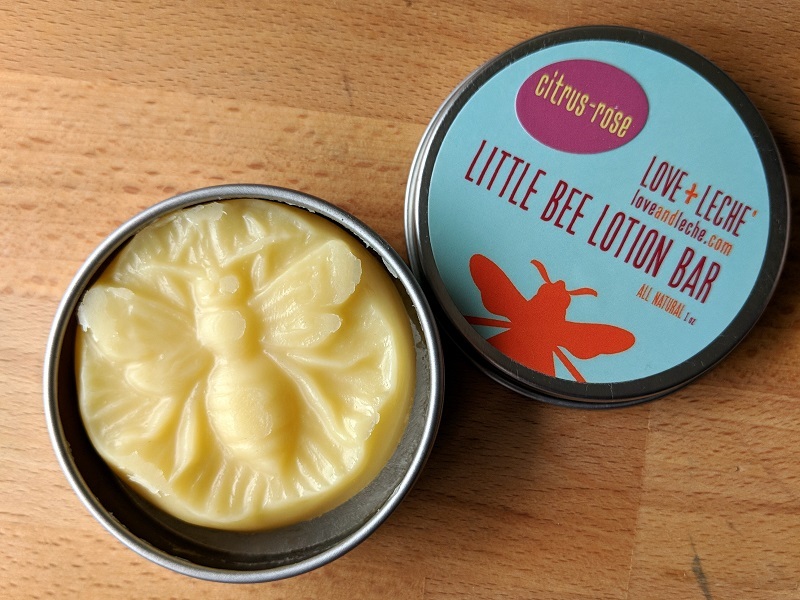 These one ounce lotion bars come in the cutest little tin canisters, perfectly sized for tossing in a project bag for on-the-go crafting. Even better is that they are TSA approved. If you’re planning on traveling, you can rest easy knowing airport security won’t take your lotion bar away. Opening the citrus rose lotion bar rewarded me with a delicately fresh scent. It was a very hot day when the lotion bars arrived so they were already pliable and easy to spread. The soft and buttery wax coated my hands with a soothing balm without feeling sticky or heavy. The scent is not overpowering and does fade away after some time, which is nice if you work or study at a place where you want to be mindful of how much perfume you’re wearing. 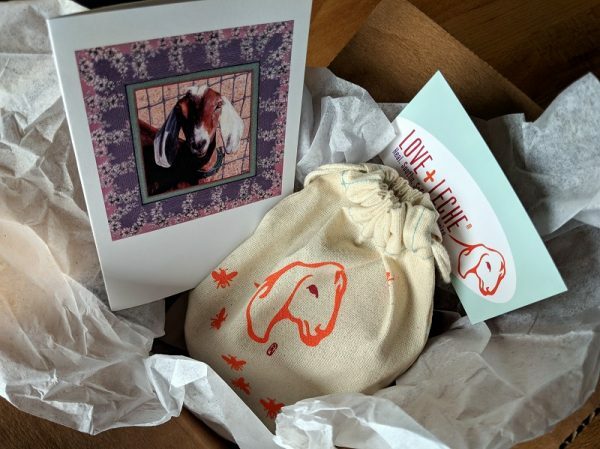 A huge thank you goes to Love+Leche for not only sending me these amazing lotion bars but they are also giving me a code to share with you!